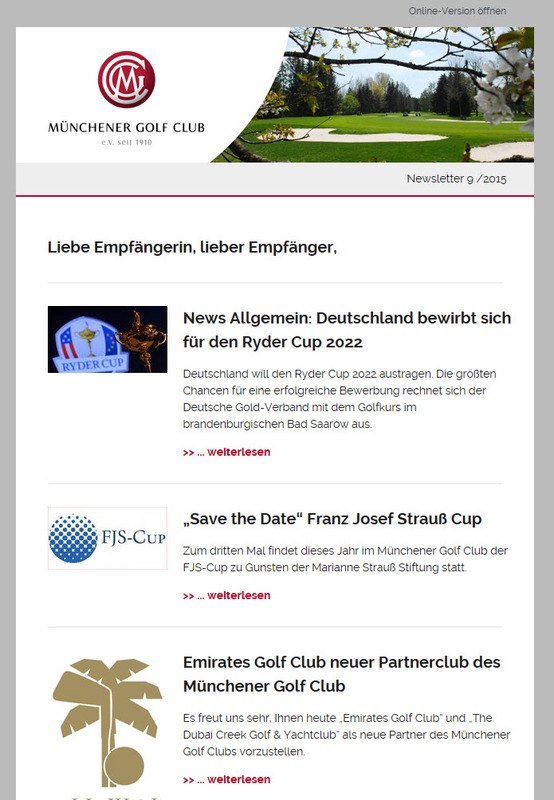 Good old print magazines for members may soon become history because the Internet provides best possibilities to inform more fast, up-to-date, and cheap about dates, offers, events, and tournaments: An e-mail newsletter will help you to keep your members informed in the future. 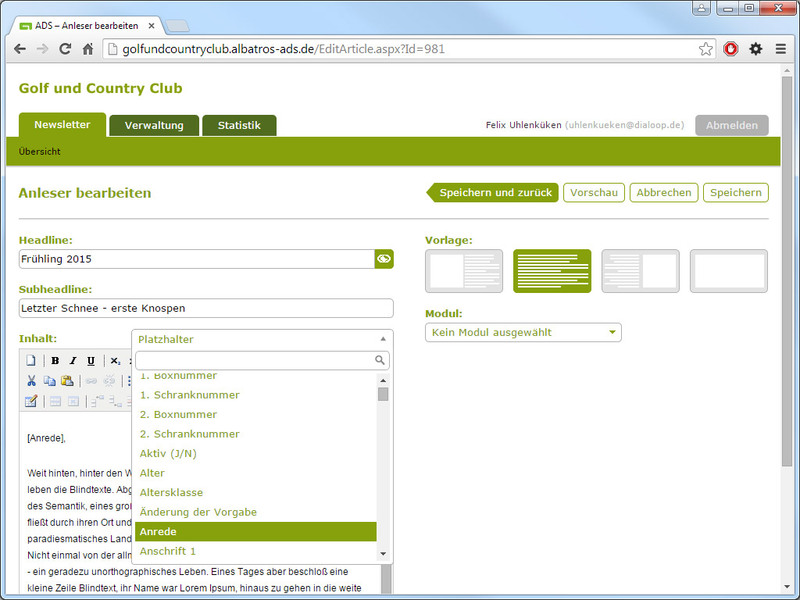 For the implementation, the Albatros Dialogue Services provide an instrument tailored to the golf courses’ needs. 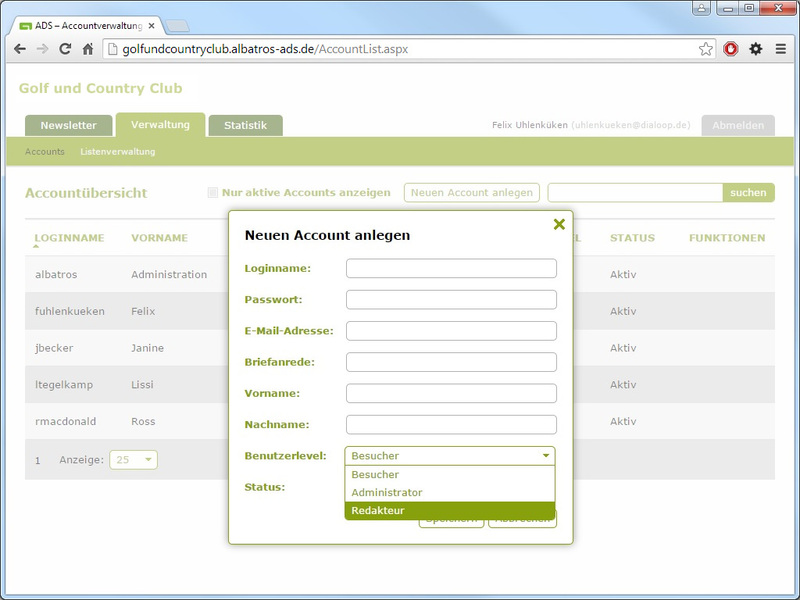 Since the e-mail marketing is connected to the Albatros database, members, guests, and visitors can be addressed individually and personally without any effort. 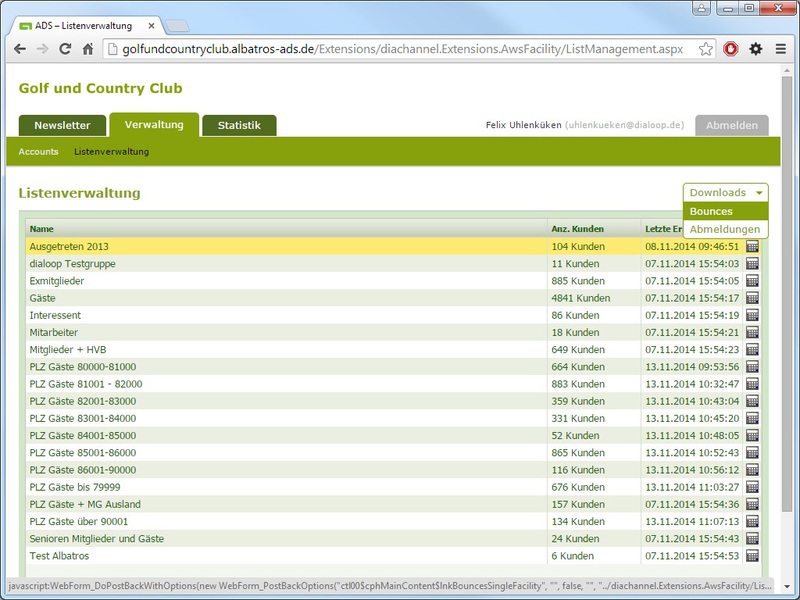 We decided to develop a system which impresses because it allows for rapid learning and easy handling. 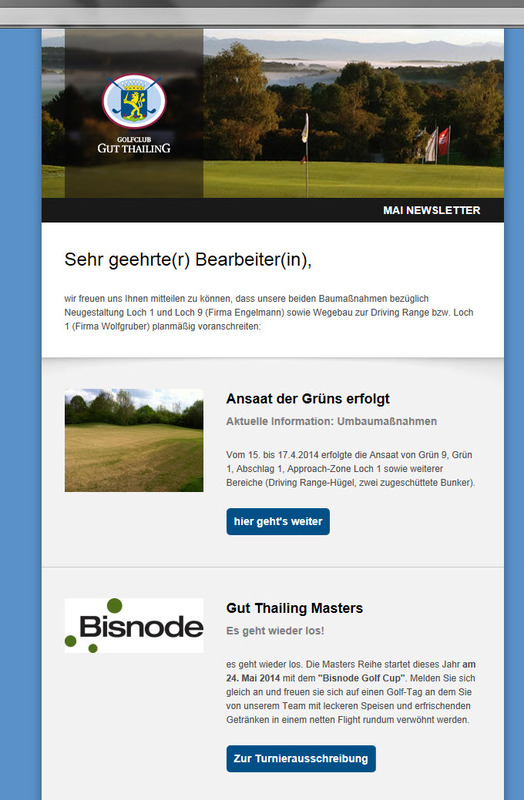 Consequently, all employees of a golf course can quickly succeed in creating a newsletter. 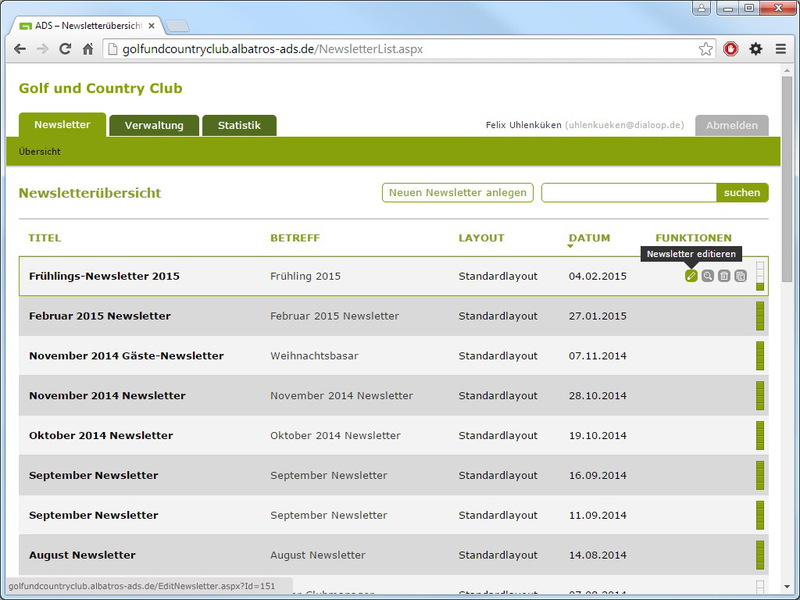 The tool takes into account the current state of technology and generates an individual newsletter, matched to your club layout. 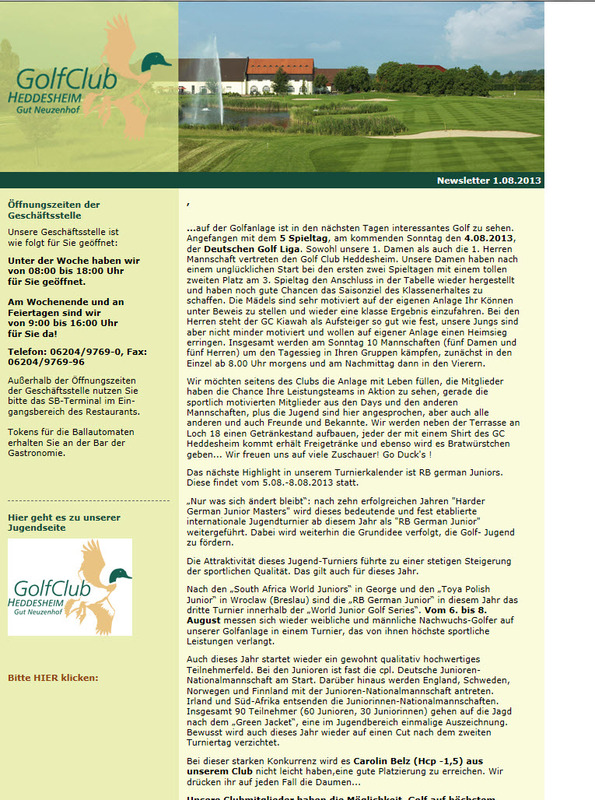 Members and guests will be thrilled! 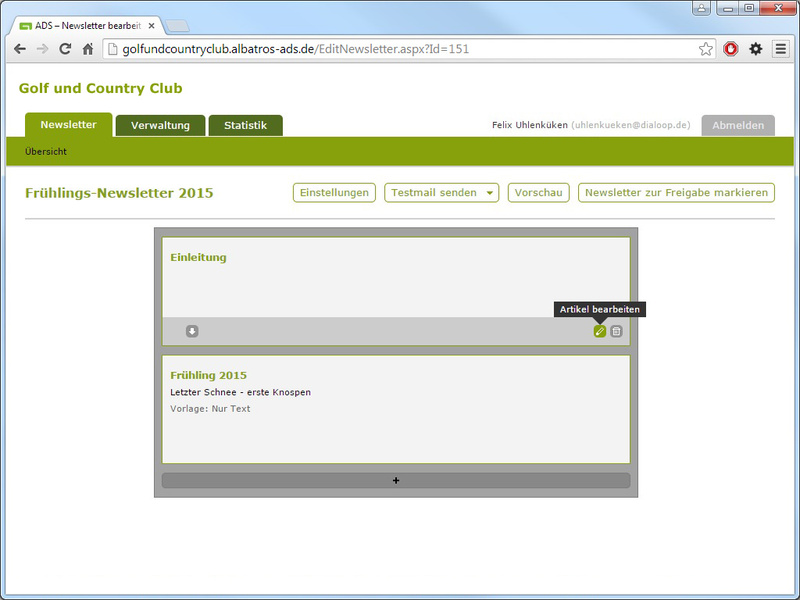 An e-mail newsletter is personalized and is sent directly to your customer’s inbox. A newsletter can be created and sent in very little time. 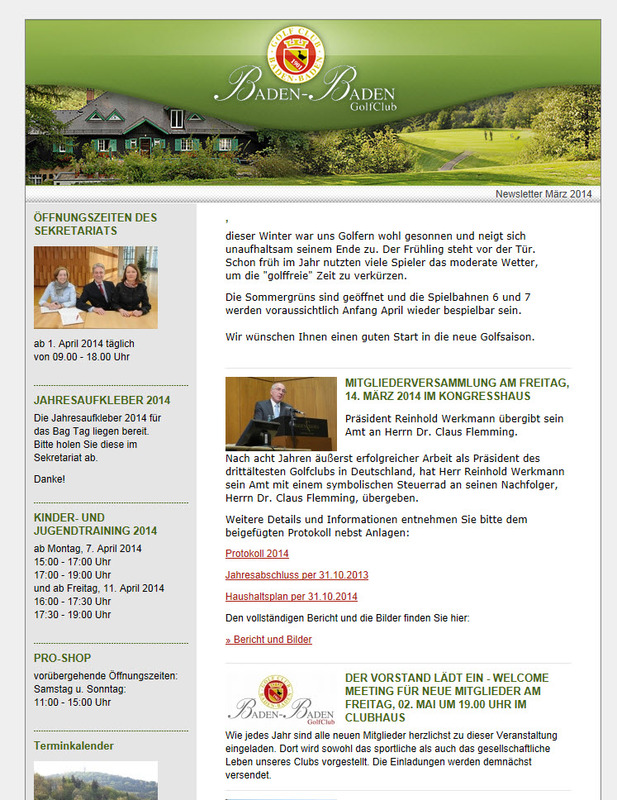 Depending on the settings, the newsletter can even be generated completely automatically. 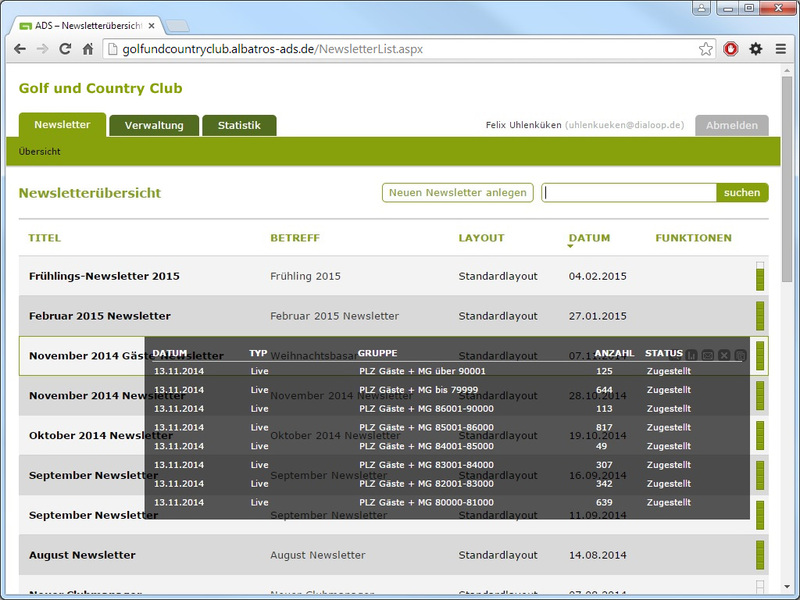 Distributing a newsletter is much more cost-effective than distributing for instance a club magazine or a letter. 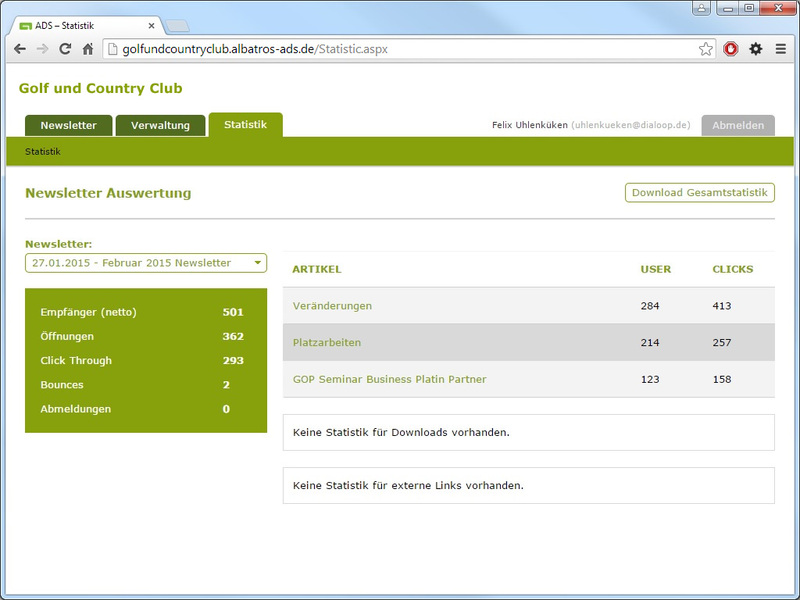 A newsletter can be designed interactively and entertainingly by including customer surveys, feedback functions, a quiz or a competition. 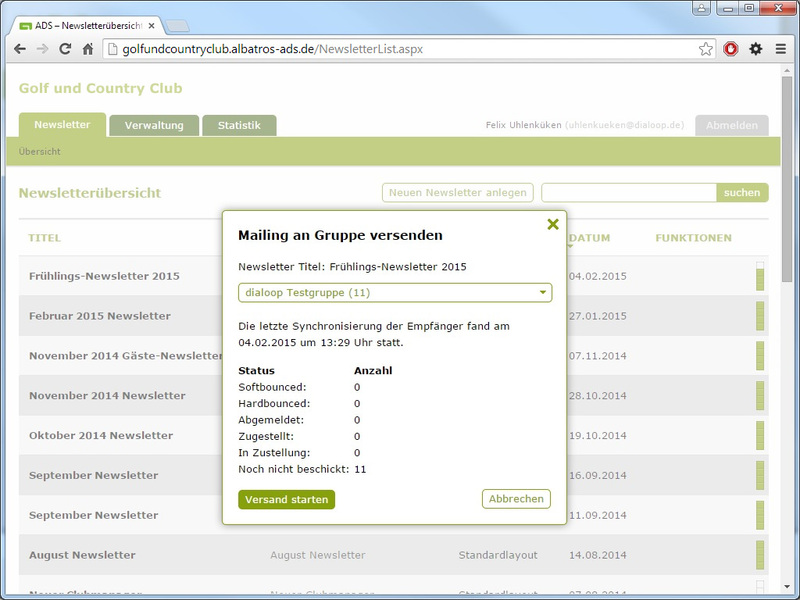 The use of newsletters might be revealing because you can directly observe statistics which indicate what your members are interested in.